Pets need to be well trained, flea free, have their own sleeping blankets, and not jump onto the furniture. Pets not allowed to roam unaccompanied on the farm outside the enclosed back garden. 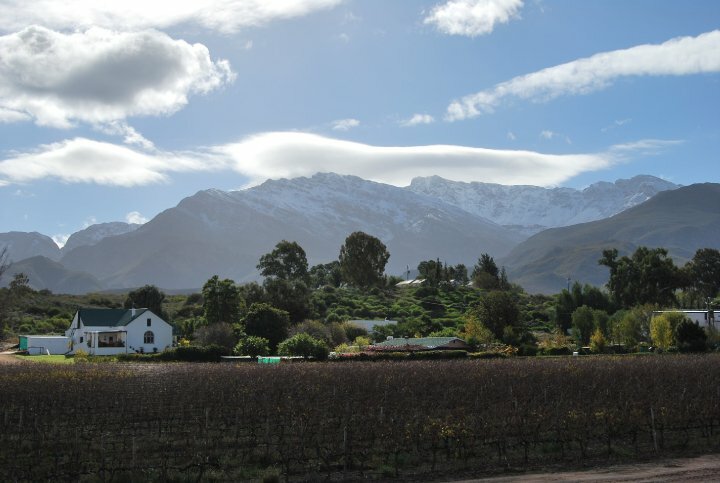 Come and escape the city stress to where the pace is slow at Audrey&apos;s Vineyard Cottage & Homestead. 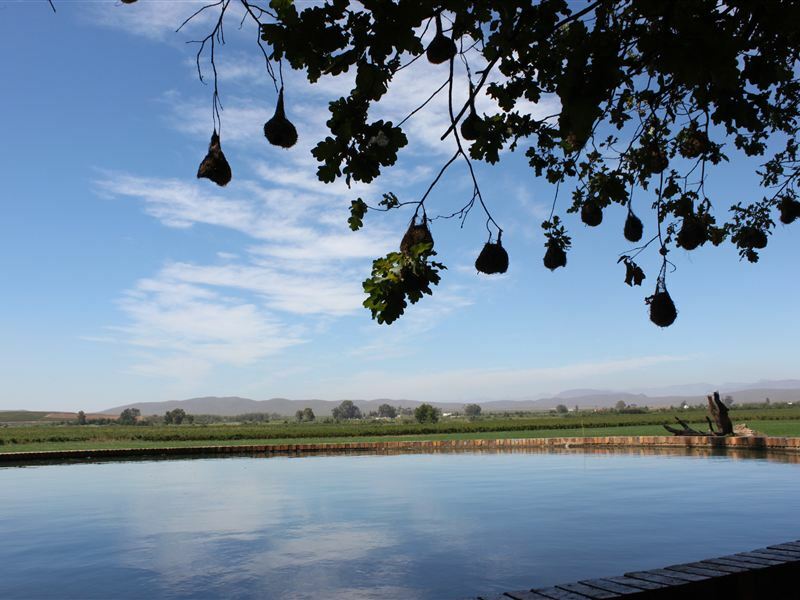 It is situated on a working grape farm in Nuy, near Worcester along Route 60. Unwind on the veranda with a glass of wine or a cup of steaming coffee while watching the sun set over the vineyards, listening to the birds. Guests can enjoy walking, jogging, bird watching, cycling, mountain biking, hiking, canoeing and fishing amid the spectacular scenery. 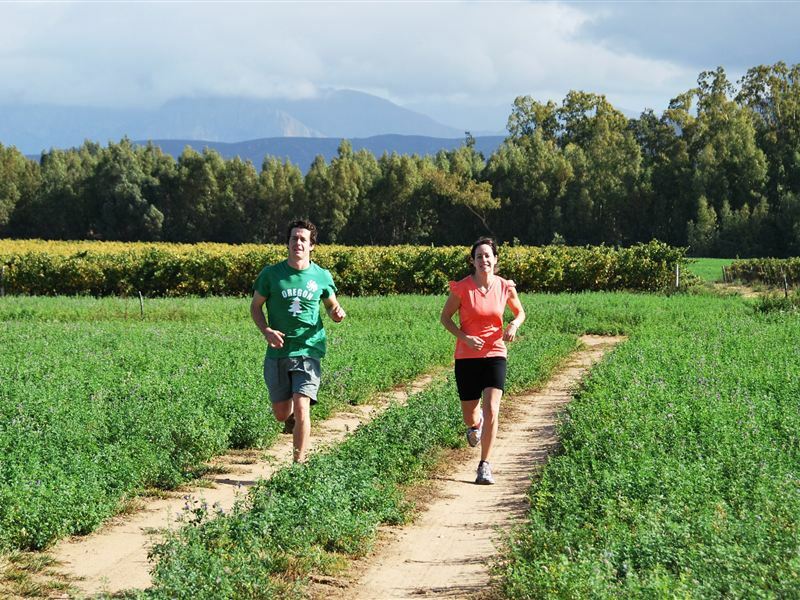 There is a new mountain biking trail which runs over the farm. 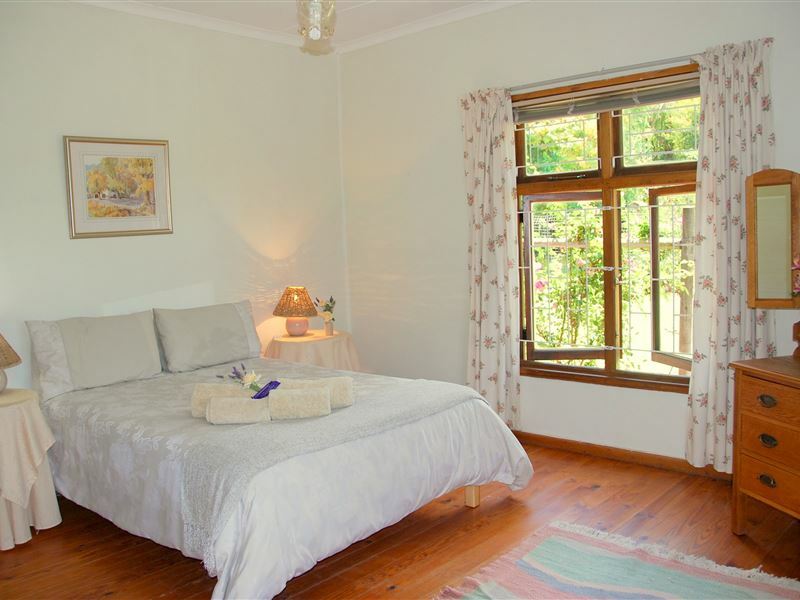 It is the ideal place to rejuvenate and spend quality time with friends and family.The original Victorian homestead has five bedrooms with four bathrooms and sleeps ten people. The wooden cottage has four bedrooms with two bathroom and sleeps eight people. 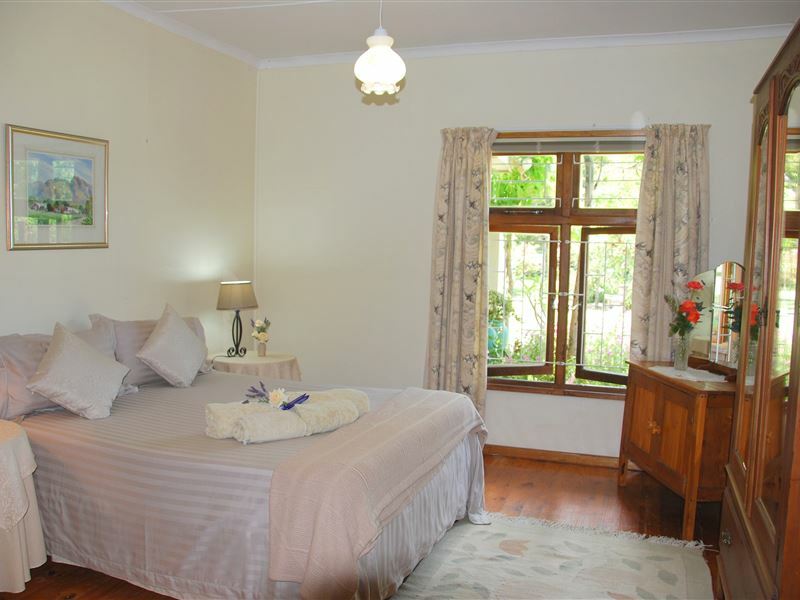 Both are self-catering but continental breakfasts are available by prior arrangement. There is DStv and Wi-Fi Facilities and a reservoir to swim in. 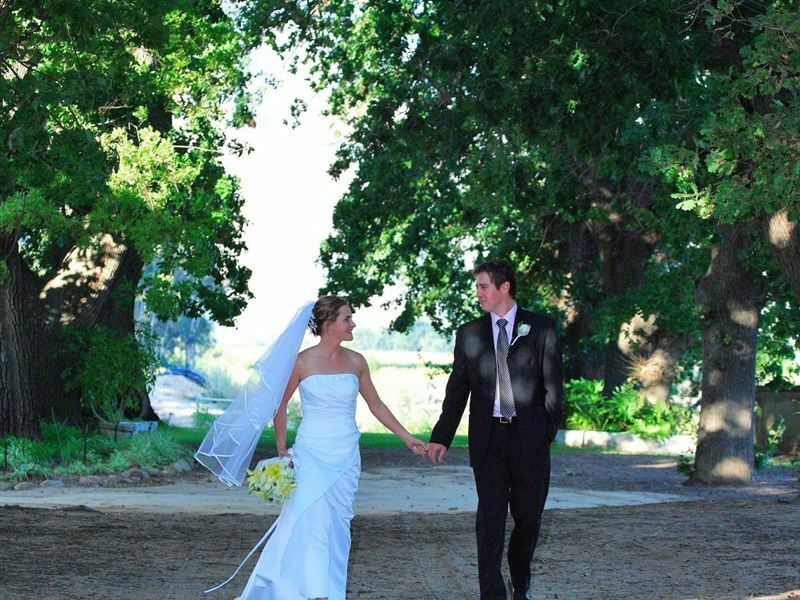 Guests can enjoy wine and olive tasting at the nearby wine cellars and olive estates.Please kindly note that smoking is not allowed inside the homestead or cottage. 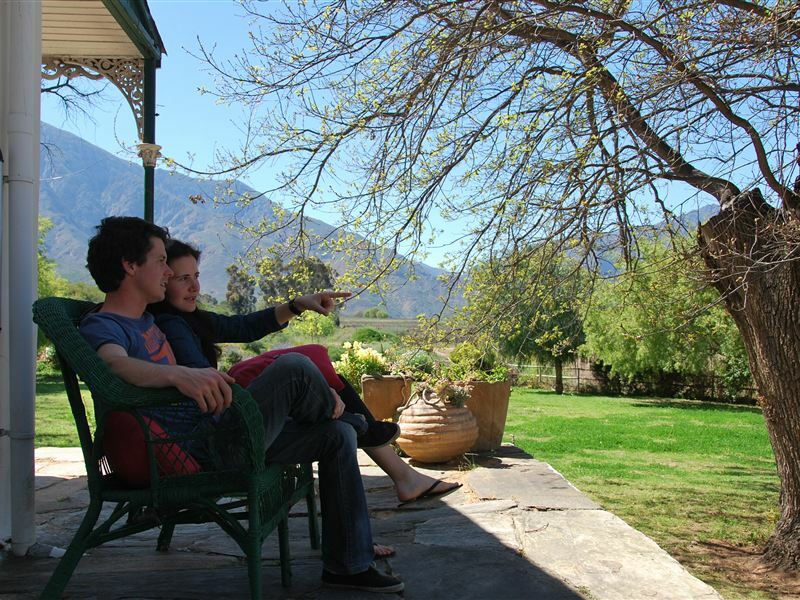 "We had a very relaxing stay at Audrey&apos;s Vineyard cottage! We were able to take our two small dogs, they loved running around the huge, enclosed garden. The peace &amp; tranquillity of the farm during this time allowed us to fully recharge before the new year. Audrey &amp; Andr were attentive hosts, making sure the facilities catered to our needs. This is a must for a break from busy city life!" 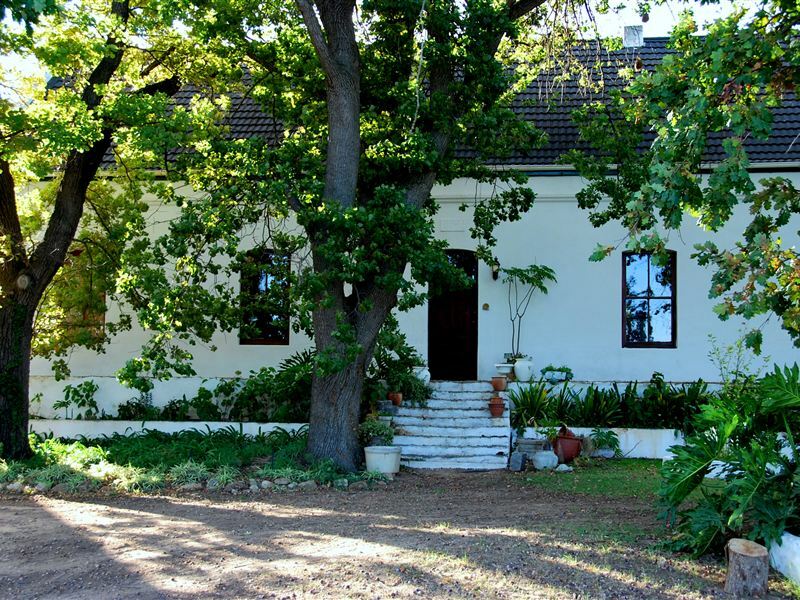 "Lovely cottage between the vineyards"
"We absolutely loved staying at Audrey&apos;s vineyard cottage. It was very comfortable and complete.Sandy was so very helpful and showedus around the vineyard and provided us with wood for the braai. We even were allowed to watch during the first day of harvest. The cottage has the best location, we felt secluded enough and close enough to Worchester to buysome groceries. Go toSaggy Stone for lunch."